It doesn’t have to be all in the sauce! 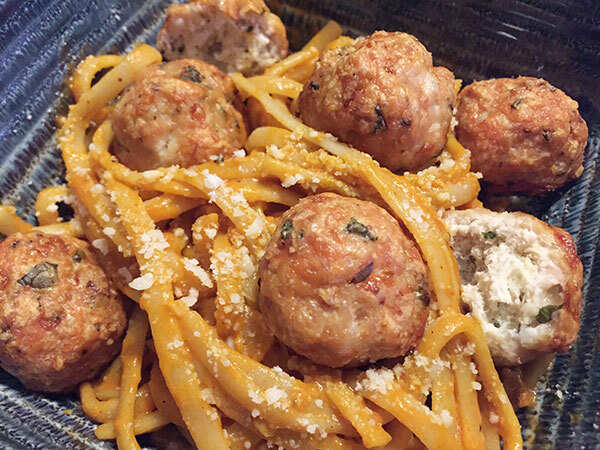 When you are preparing to make spaghetti and meatballs, what is the first thing that you think about? So many times with pasta we focus on the flavoring in the sauce more than anything. The secret can also be in your meatball ingredients! 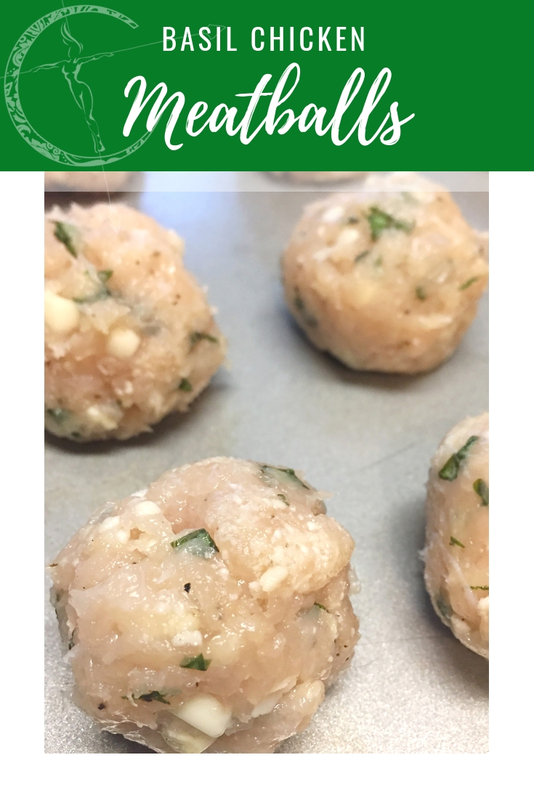 These basil chicken meatballs are low carb but tasty enough that you won’t even notice! Ever feel like your homemade meatballs have to be loaded with fat in order to come out right? Not true! Meatballs can be made low carb with easy substitutes in the ingredients. 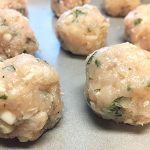 These chicken meatballs are a deliciously healthy alternative! Start by combining ground chicken with minced garlic, basil, onion and shredded Parmesan cheese. Mix in 1 egg and add breadcrumbs and the seasonings. 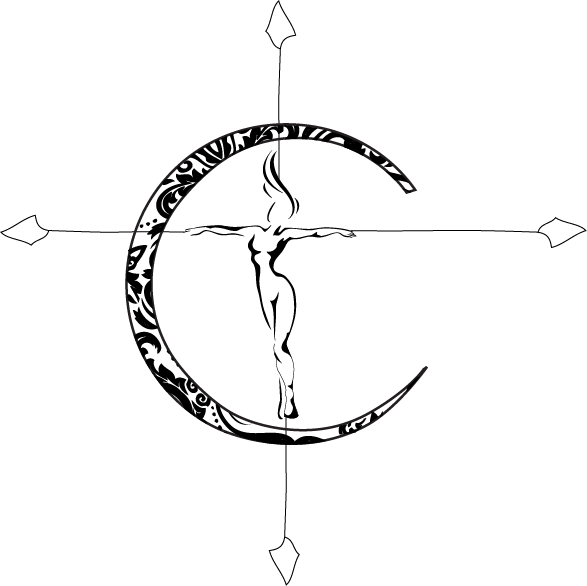 Use hands to work the mixture and roll in to 1″ diameter balls. Coat with olive oil and place on greased baking sheet. Bake at 400F for 16 minutes then broil for 8 minutes. I like to use a leaner ground meat when I cook, so naturally that has a tendency to make the meatballs tougher since it lacks the fat. 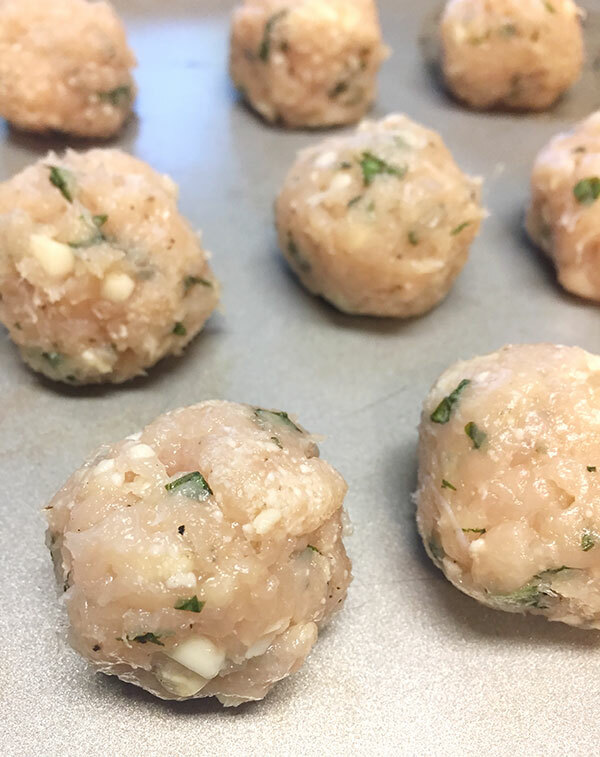 Using breadcrumbs and adding egg can help ensure your homemade meatballs retain moisture! I personally used a slice of gluten free bread soaked in buttermilk. I did find an easy recipe here from Gluten Free On A Shoe String’s blog that gives great instructions on making your own homemade gluten free breadcrumbs to keep on hand! Now just add to pasta and pour your sauce of choice over everything! 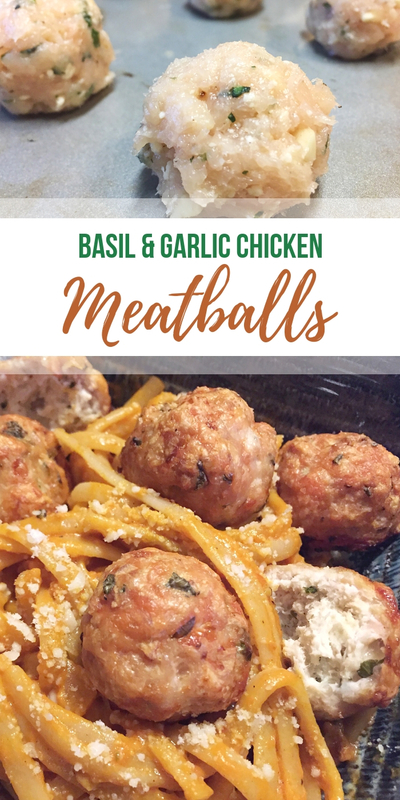 I tried these with linguine and a vodka sauce and they were absolutely delish! Use hands to work the mixture and roll in to 1" diameter balls. Coat with olive oil and place on greased baking sheet. Bake at 400F for 16 minutes then broil for 8 minutes. You can always make these and freeze for later! Just make sure you shape them and freeze raw for 15 minutes before packaging together.